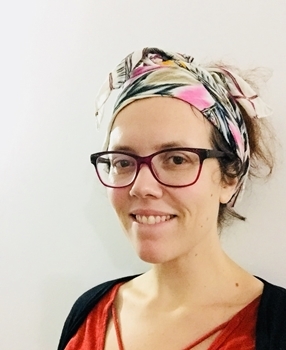 Kristelle Holliday has been the Director General of the Théâtre des Petites Lanternes since 2012 and was recently appointed Coartistic Director of the organisation. In her artistic practice, she works closely with artist and communities in order to cocreate large-scale outdoor theatre performances. The interest in this form stems from the dramatically varied human stories and landscapes that she has encountered during her many years abroad. Now in Canada, she is profoundly inspired by the beauty, poetry and emotion emanating from her new surrounding lansdcape. As an engaged member of the Quebec arts community, she is also committed to building bridges between the francophone and anglophone arts world, is actively engaged in discussions around representation and takes a leading role in the conversations around socially-engaged art and arts and health.